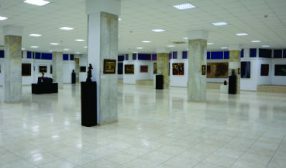 GALLERY MAP – Художествена галерия „Христо Цокев"
The “Hristo Tsokev” art gallery has large, specialized exhibition spaces, with a total area of 1500 sq.m. There are four separate halls, allocated on three floors. 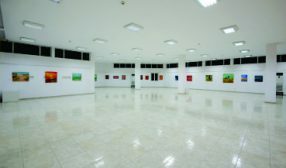 The gallery is a host to different cultural events – concerts, book representations, chamber orchestra and theater plays and others. 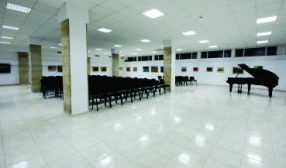 The halls are suitable for the organization of conferences, educational events as well as meetings with formal character. 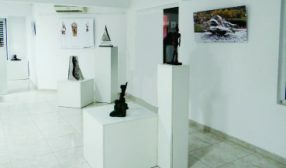 The gallery offers excellent access for visitors, using a wheelchair or other movement aids. The building has an elevator, suitable for wheelchairs, allowing for an easy access to each hall. The gallery has areas for rest. In case you need an attendant, you should know that it’s not necessary for him or her to pay an entrance fee. In order for us to guarantee a better convenience for the people with special needs, we don’t require them to pay an entrance fee.